Almost 4,000 Saudi forces fled their border bases in anticipation of Riyadh’s order for launching a ground assault on Yemen, European diplomatic sources said on Sunday. 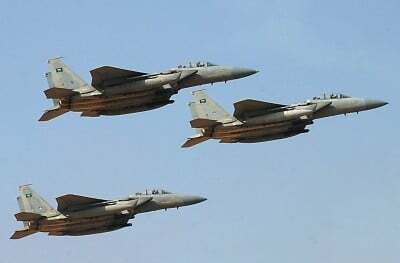 “The intel gathered by the western intelligence agencies showed that the Saudi military forces have fled their bases, military centers and bordering checkpoints near Yemen in groups,” diplomatic sources were quoted as saying by Iraq’s Arabic-language Nahrain Net news website. The European sources said that the Saudi forces’ mass AWOL forced Riyadh to declare ceasefire and dissuaded it from launching ground attacks against Yemen. Other reports also said that over 10,000 soldiers from different Saudi military units have fled the army battalions and the National Guard. Experts believe that the Saudi army lacks strong morale to launch a ground invasion of Yemen and such an attack would be considered as a suicide for Saudi Arabia. Saudi Arabia has been striking Yemen for 32 days now to restore power to fugitive president Mansour Hadi, a close ally of Riyadh. The Saudi-led aggression has so far killed at least 3,005 Yemenis, including hundreds of women and children. On Tuesday the monarchy declared end to Yemen airstrikes after four weeks of bombings, but airstrikes are still underway.